The Left says many nasty things about the confederate monuments that they, in a desire to erase the historical knowledge that the Civil War was not solely about slavery, wish to destroy. These monuments were erected in the 1920s-1950s as the memory of the Civil War was lost and the civil rights movement rose. Leftists directed that movement, and they were erasing history then too, so people memorialized the past with places that others could visit and learn from. In our present time, any competing narratives must be erased because they will reveal how simplified our view of history is and therefore, how wrong it is. The Left wants to abolish any nuance and depth to our view of ourselves and what is morally right. They claim that they are removing these monuments to avoid offense to others, but in reality, they are trying to remove any competing narratives to their own so that they may assert control over all of us. They want power, and any dissent from their dogma threatens that. The world’s two largest standing Buddhas — one of them 165ft high — were blown up by the Taliban in Afghanistan at the weekend. 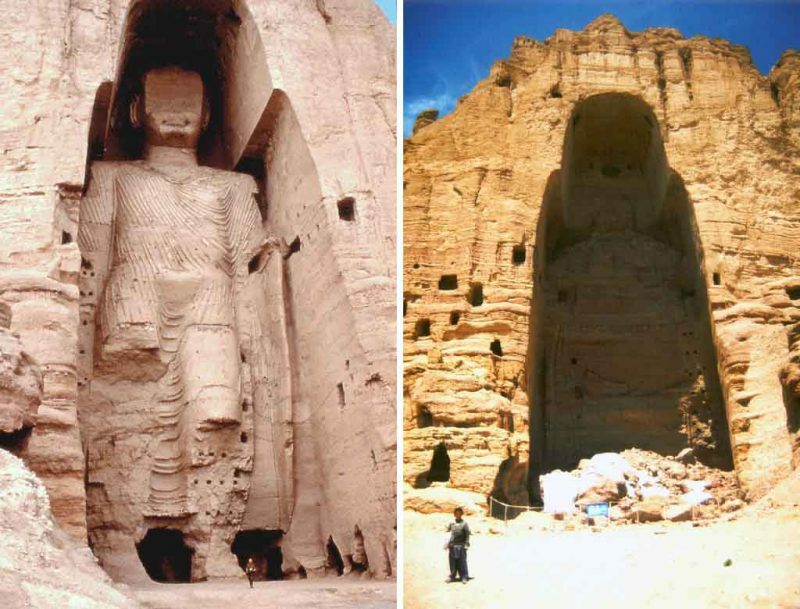 The operation to wreck the statues carved into a cliff in the Bamiyan Valley in the Hindu Kush mountains of central Afghanistan was supervised by Mullah Obaidullah, the Taliban defence minister. There has been an international outcry since Mullah Mohammed Omar, the Taliban leader, issued a special edict on Feb 26 ordering the destruction of all non-Islamic statues. The loss of history and of priceless cultural artifacts prompted an international outcry. Was there any international outcry over the destruction of Confederate monuments? Of course not. The world resents any desire by Western Civilization to rise again. Human emotions come in useful and less-than-useful forms. Jealousy can motivate us to succeed, but when we do not believe we can, that jealousy turns to resentment, and through that a sense of self-pity, and through that a desire for revenge at the symbol of our defeat. For that reason, the Left finds many supporters in its mission to destroy history. People fear Western Civilization because it makes them look dumb. It got its act together, fixed most of the problems of human society, and then dominated the world, first by military power but second and more profoundly, by people emulating it because it worked better than what their people had been doing for centuries. The international community approved heartily of the destruction of our heritage because when we are weak, they feel strong, at least for a little while. In our own land, the Left cheers because it feels its power growing, not knowing it has become the monster that it fears we are. More importantly, these events reveal something that egalitarianism and fundamentalism have in common: they are based on conjecture, theory, and emotion and therefore require all of us to join them or be destroyed. To someone whose belief is based on things observed in reality, it is easy to point out the logic behind it. 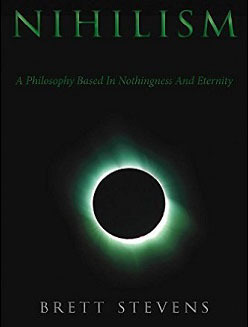 Most will not see it, of course, but enough will that it remains a viable point of view. Those whose beliefs are conjecture — meaning unproven, or lacking a historical antecedent — live in fear. They know on some level that they are advancing desires as reality, and blocking reality, so they seek to block more reality before their deception is revealed. Egalitarianism tends naturally toward extremes because it is not based on reality. It grew in the North, causing them to create a vast herd of factory workers and demand that the South be subjugated because it had escaped their miserable existence. The people in Dixie wanted to live independently. They saw that slavery was no crueler than factory labor, and in fact offered lifetime pensions and medical care, where manual workers were (and are) disposable. 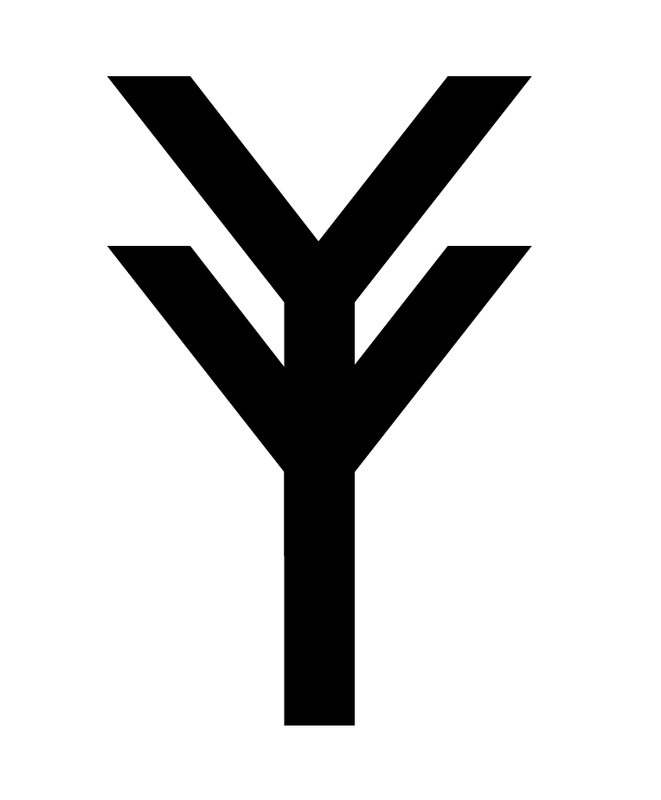 This offended the egalitarians and so they found a pretext for war, destroyed many good things, and then settled back into the same state of misery. This state exists to this day, and it is why they and the Taliban must erase any other vision of human existence.